I was looking for a smaller link for a pendant I have and this does not work but too pretty not to keep and wear everyday. Which I do. This is my first purchase and I love it!! I bought 3 lengths. They sparkle so much. 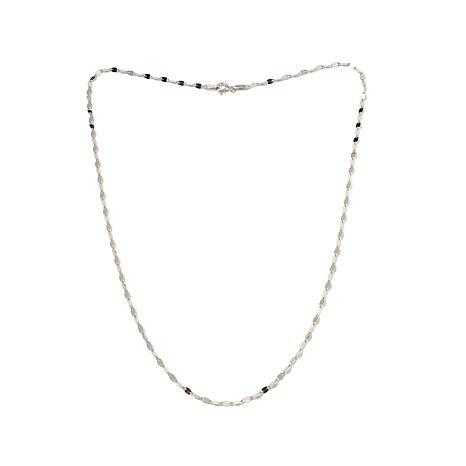 Beautiful small necklace when you just need something simple to compliment your outfit. I have several Michael Anthony pieces and love each one. The quality and workmanship is outstanding. All of the jewelry that I've purchased from Michael Anthony has been top notch and appreciated when gifted. 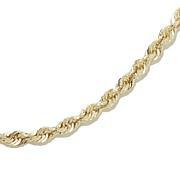 This chain 22" is no exception. It's shiny bright and very sturdy. I love the fact that it's guaranteed for life that's totally awesome. I would definitely recommend their jewelry to everyone I know. It's spiritual line is one of my faves and like no other in stainless steel. I want more of these chains in longer lengths. The 22" was the only one available at the time of my purchase . 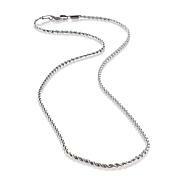 This is a stunning chain! I hope he makes even more lengths widths in it. It's spectacular!